Argh! That familiar yet panic-inducing feeling has struck. Maybe the weather’s bad. Possibly your partner’s taken the car to work. It could be that you’re still wearing your pajamas, yesterday’s makeup and have Vegemite stains on your singlet, rendering a visit to the park/shopping centre/library quite impossible. If you’re stuck for something to do, take a quick glance around your home, because there are sure to be materials and resources readily available to start playing and learning now! See that awful-looking monstrosity awaiting recyclable collection day, AKA the nappy box? With a bit of creativity from your little ones, that thing could become… well, almost anything! My kids recently transformed one into a super cool hot rod. With a coat of paint, some muffin case headlights, some paper plate wheels your kids’ new ride is ready for play! A variation on this activity is to check out what rad finds are hiding in your recycling stash – children are amazingly creative and can see potential in almost anything! You may be amazed at their ability to innovate. This one’s so easy: fill up a bucket with warm soapy water and a selection of (clean) sponges, and take it outside with your kids, let them enjoy giving their trucks, bikes, scooters, and anything else a good scrub. You could even get some literacy learning happening by helping them write and display a “car wash” sign, or using some new words as they play to extend their vocabulary (think “squeegee”, “chassis”, “windscreen”, “towbar”) . Strip ’em off, throw ’em in the bath, and offer them a bowl of shaving cream each. So long as they’re old enough to know *not* to put it in their mouth, it will be a great “lesson” in sensory exploration. If you’re brave you can even add a tiny amount of food colouring to the cream to make it more interesting. Let them explore by moving the substance through their hands, wiping it on surfaces, making bubbles with it in a sponge. This activity promotes fine motor skill development as they use their fingers to explore. Simple as can be! Grab a packet of balloons from that stash of party gear at the bottom of your pantry, blow them all up, put on some poppy music and declare that it’s Party Time in your living room and everyone’s invited! This activity incorporates gross motor skills (hand-eye coordination and balance), and literacy if you choose music they can sing along to. This is pretty much just making a cubby house but with a camping theme. A kitchen table with a queen sized flat sheet thrown over the top will make a pretty fabulous make-do tent. You can take in your water bottles, snacks, and some friends (dolls and teddies), and tell stories or read books. My kids love “packing” for camping game. It’s a great game to help them remember their belongings and packing away at the end is great for social learning, as it encourages them to accept responsibilities. There are so many great things you can do with Duplo that they don’t tell you on the box! How about some mathematical learning? Sort the Duplo into colour-coordinated groups. Or make the tallest tower you can and count the bricks then compare between children. Find out “how many Duplo long are you?” with the kids and write down the answers. 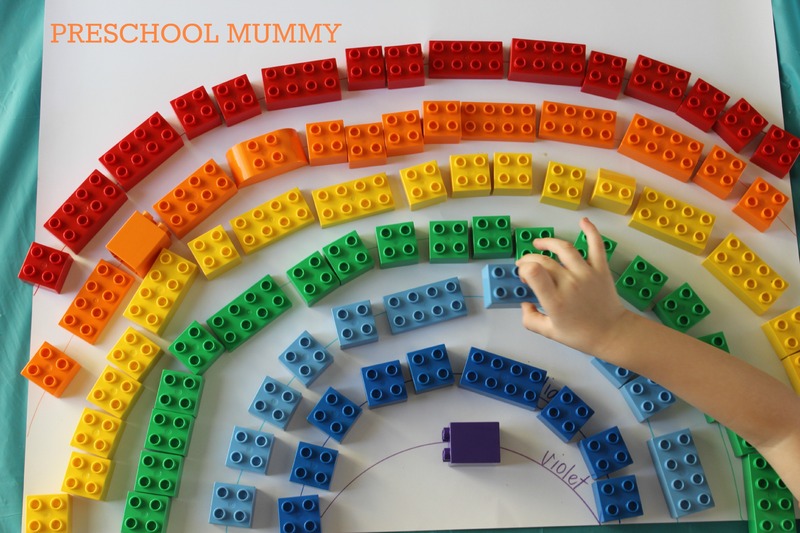 For older children, show them how to make and recognise patterns with the colours, or make a Duplo rainbow like we did! 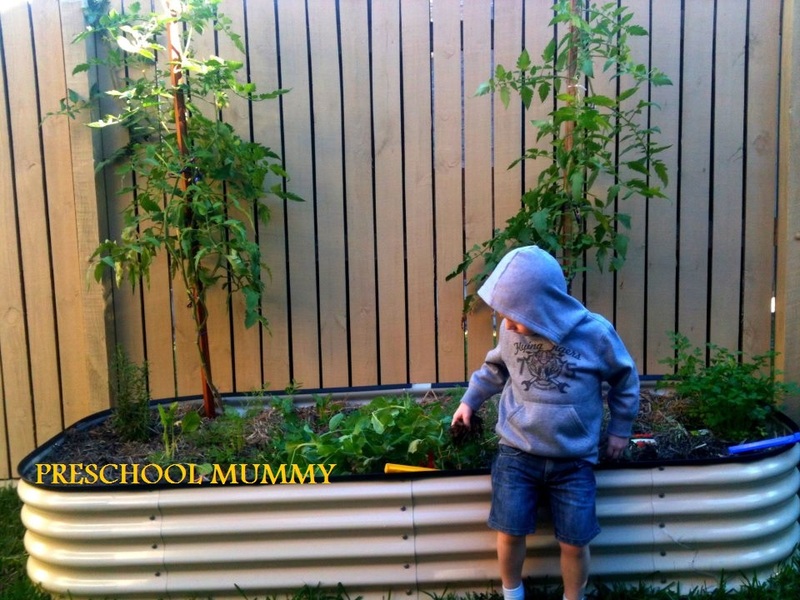 Take your little ones outside with you and pull some weeds together. Children love to feel helpful and important. By encouraging them to take on some special jobs like gardening, you’re fostering a sense of self worth. If your child loves to garden, consider buying him or her a raised garden bed and some soil as a gift for an upcoming occasion. There is so much satisfaction to be gained by planting, nurturing and growing beautiful plants in your own back yard. Ask your child if they would like to write a letter to a special someone. Have the child nominate the recipient, and scribe the letter for them as they speak. Talk to your child about basic writing conventions and parts of a letter, such as the salutation (Dear …….,) and the ending of the text where they “sign-off”. Affix the postage stamp and mail the letter together, and talk about how nice the person will feel once they receive their special letter in the post! There’s always time for a book. In our house, our go-to activity in fleeting moments of boredom is to sit together and read a story. The moments we share reading are magical and so lovely, and are truly the highlight of many of my days (and hopefully theirs too). To foster a love of literature and reading is an awesome gift to give your child. Read every day. Ask them questions about the stories. Visit the library. Love reading and pass that love on to your kids. When all else fails, turn their question back upon them! Ask, “What would you like to do?” and see what they say. Validate their ideas, acknowledge their creativity, and work together to try and make their vision come to fruition. I’d love to hear your favourite low-cost activities for your under-fives so please comment below! 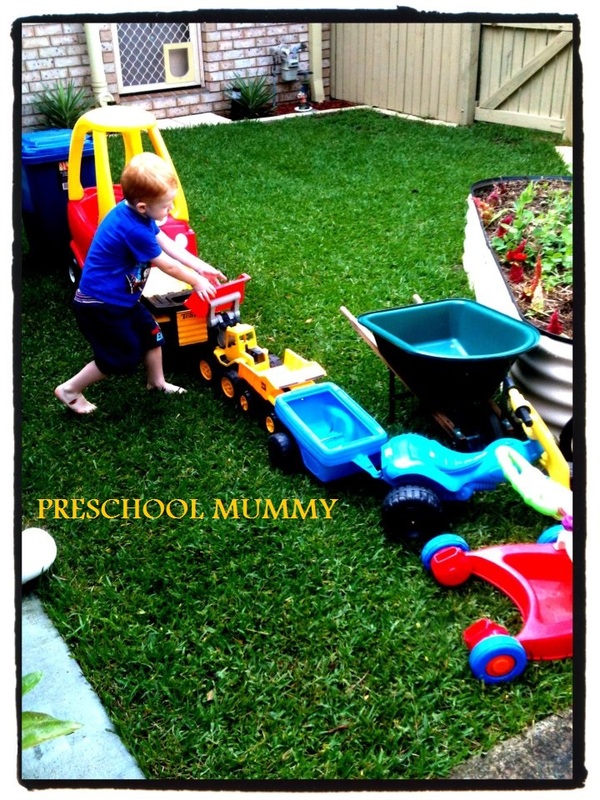 This post is reposted from Preschool Mummy. Next Post Up-cycled change table craft trolley.